Jerry Victor Doucette born in Montreal in 1952. As a youngster he would sit in on jam sessions with his father and Uncle Jim. Doucette's family moved to Hamilton, Ontario, when he was 4 years old, and two years later he got his first guitar. Lessons soon followed at age 8 and he joined his first band, The Reefers, at age 11. He remained with the group for five years then moved to Toronto, playing in various bands like Tribe, Brutus, Abernathy Shagnaster, and Homestead. In November 1977 he released him debut album "Mama Let Him Play", which quickly went Platinum in Canada. The album is surprisingly consistent and is carried by two strong singles, "Down the Road" and "Mama Let Him Play". 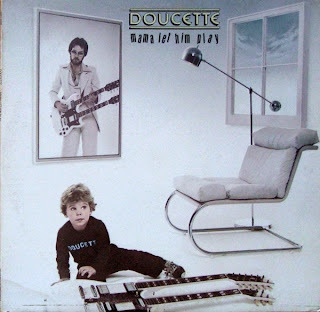 Opening for the likes of Bob Welch and Meatloaf, Doucette quickly made a name for himself south of the border, touring The United States for most of 1978.